Vynca, PIC-SURE and Information Softworks emerge from a crowded field with new strategies for probabilistic record matching. The Office of the National Coordinator for Health Information Technology has revealed the winners of its Patient Matching Algorithm Challenge, launched this past June. More than 40 competing teams, using an ONC-provided dataset, offered some 7,000 submissions that explored a variety of solutions to the matching problem. They were judged across a series of categories. The big prizes, for best "F-score," which measures accuracy factoring in both precision and recall, went to Palo Alto, California-based Vynca ($25,000 for first place), Cambridge, Massachusetts-based PIC-SURE ($20,000 for second place) and Ann Arbor, Michigan-based Information Softworks ($15,000 for third place). Information Softworks also won $5,000 for best first run, while PIC-SURE was awarded $5,000 each for best recall and best precision. Vynca's winning stacked model combined the predictions of eight different other models, and relied on manual review for fewer than .01 percent of the records, according to ONC. PIC-SURE's algorithm was based on the Fellegi-Sunter method for probabilistic record matching and was accompanied by a substantial manual review. Information Softworks also used a Fellegi-Sunter-based enterprise master patient index system and required limited manual review. The ONC dataset and scoring platform from the challenge is still available for researchers who'd like to do further algorithm development; it can be accessed via the Patient Matching Algorithm Challenge website. "From an interoperability perspective, the ability to complete patient matching efficiently, accurately, and at scale has long been identified as a key element of the nation’s health IT infrastructure," said Steve Posnack, director of ONC's Office of Standards and Technology, when the contest was first announced. 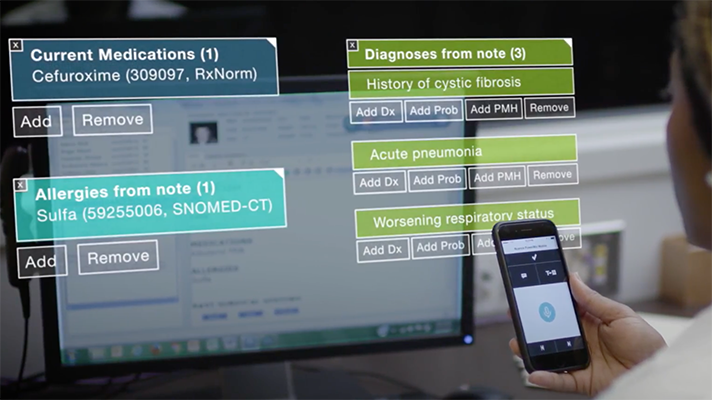 "Patient matching is almost universally needed to enable the interoperability of health data for all kinds of purposes." But despite "numerous recommendations have been issued over the years to tackle different aspects of patient matching," he said the challenge of consistently matching patient data as they move among care settings is still a vexing one for healthcare – posing challenges for efficiency and risks to patient safety. “Many experts across the healthcare system have long identified the ability to match patients efficiently, accurately, and to scale as a critical interoperability need for the nation’s growing health IT infrastructure," said National Coordinator for Health IT Don Rucker, MD. "This challenge was an important step towards better understanding the current landscape."